The recent range of the Fountaine Pajot catamarans has really amazed me, both as a skipper and as a guest aboard their vessels. 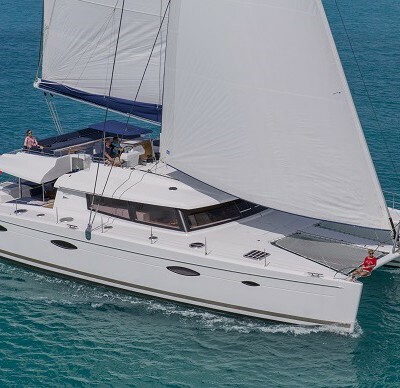 The largest yacht is the Fountaine Pajot Victoria 67. 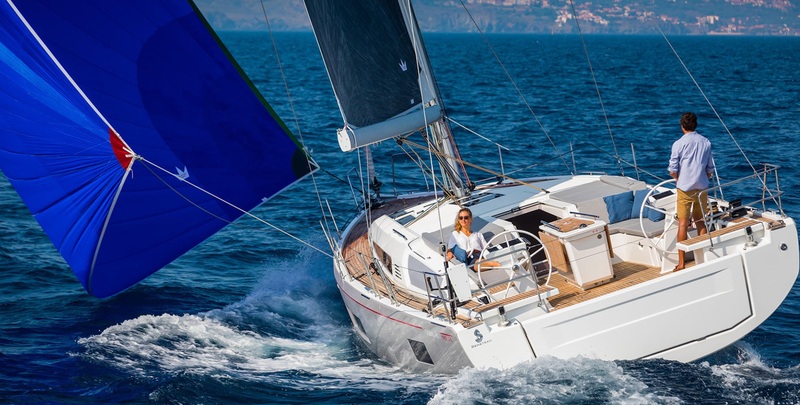 It has been declared as their new flagship, as the studio of naval architects Berret Racoupeau gave their best to design this remarkable catamaran. Her elegant and contemporary lines, as well as the interior and deck layouts, exude excellence, luxury and comfort. The first thing to notice about the Victoria 67 is her spacious and comfortable flybridge, divided into the helm and a lounge area. The steering wheel, winches and hammers are placed close to the skipper’s area. In the lounge area, maximal comfort is provided by large and spacious benches, sofas and a small bar in the center of the flybridge space. This layout allows the skipper to do his job, while the guests can enjoy on the top of the vessel, experiencing the excitement of sailing without losing any of the comfort. There is a small bimini top above the skipper to protect him from the sun. If the sun gets too hot, the guests can descend to the cockpit using two highly secured stairways, one at the each side of the flybridge. There is a large foldable table with the sofas around it, while the sunbathing platform astern hides a tender. This way, an extra lounge space is created, while the tender is safely attached below the platform, avoiding unpleasant bouncing while sailing. The swimming area is rather generous in comparison to some other catamarans. The two winches attached to the each side of the stern are there not only to control the mighty 150m² gennaker, but also to help with the stern lines. Although the Victoria 67 is 20.32 m long, her 9.5 m beam and a low barycenter guarantee considerable stability, which contributes to the overall feeling of comfort and safety. The remarkable performances under sail are achieved by a square-headed 118m² mainsail and a 84 m² genoa. Furthermore, thanks to high performance solar panels placed on the rear end of the flybridge, the Victoria 67 is completely self-sufficient at anchor. They produce power of 680 W, 28 A at 24 V – considerable figures in terms of energy efficiency. The energy consumption is additionally reduced by the use of LED technology for all navigation lights, the interior and for the mystical deck night illumination, which gives the Victoria 67 an elegant vibe at night. Speaking of power, the Victoria 67 is powered by two 110 HP engines supported by a 1400 l diesel tank, while the fresh water is kept in a 1000 l capacity tank. The elegant and spacious saloon is separated into three areas – the galley, the lounge area and the chart table. The 360° view is provided by large panoramic glass walls all over the saloon. The front part of the saloon is reserved for the skipper’s working area, which includes the chart table, navigational and communication instruments, charts and the logbook. In the rear part, there is the lounge area with a large sofa and a table, as well as a galley, well equipped with cooking devices, refrigerators and storage areas. A working platform and a sink form a small bar which separates the galley from the lounge area, but still allows communication between the guests and the chef who prepares specialties for dinner. There are two versions of Victoria 67 in terms of interior layout. The 6 cabin version offers four larger double bedrooms and two smaller ones, while each of them is equipped with its own bathroom. The below decks can be accessed through two stairways in each hull. The crew can be accommodated in two small bow cabins. The MAESTRO version hides a large master bedroom in the port hull. The bedroom is equipped with a private bathroom and a lounge. The second cabin in the port hull can be arranged as a twin double bedroom. The starboard hull is equipped with three double bedrooms, each with their own bathrooms. Considering the number of people that can be accommodated aboard the Victoria 67, it might be rather tricky for the chef to prepare food for all of them. Although the Victoria 67 is comfortable enough for a large group, I would not invite the maximal number of people aboard if the provision of food and beverages is not organized down to the smallest detail. All in all, thanks to the knowledge and effort of the designers’ team, the Victoria 67 provides an incredible sailing experience. 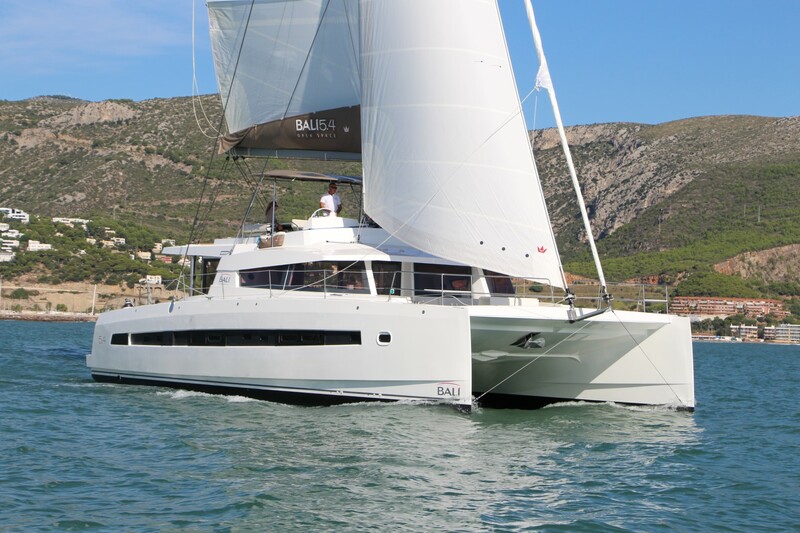 To learn more about chartering a catamaran, visit Sailing Catamaran Yachts.